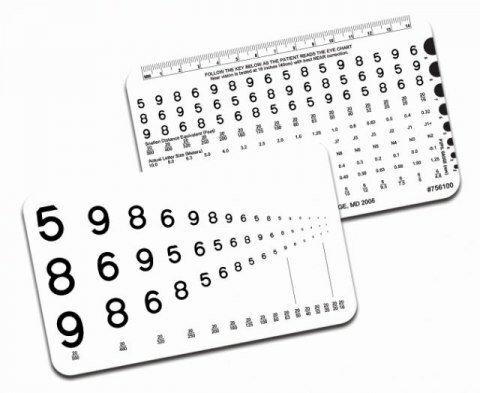 The Runge Near Vision Card with LEA NUMBERS® features a format that is both easier and faster to use for near vision screening. Developed by an Optometrist, this Sloan Letter Near Card mimics reading from left to right. 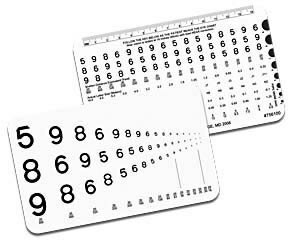 LEA NUMBERS® optotypes on the front of the card contains line sizes ranging from 20/500 to 20/16 (equivalent).